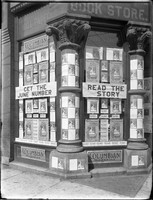 Mauro & Wilson's bookstore showing flyers for Columbian magazine in windows. 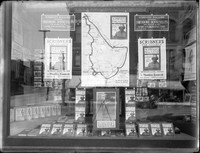 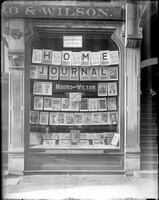 Mauro & Wilson's bookstore window with ad for Scribner's magazine. 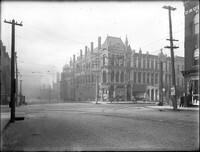 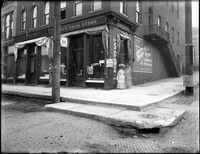 A three mule team on Jefferson street with Paule jewelry store in background. 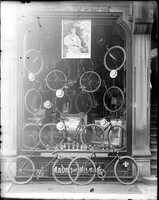 Mauro & Wilson's bookstore window with bicycle display.